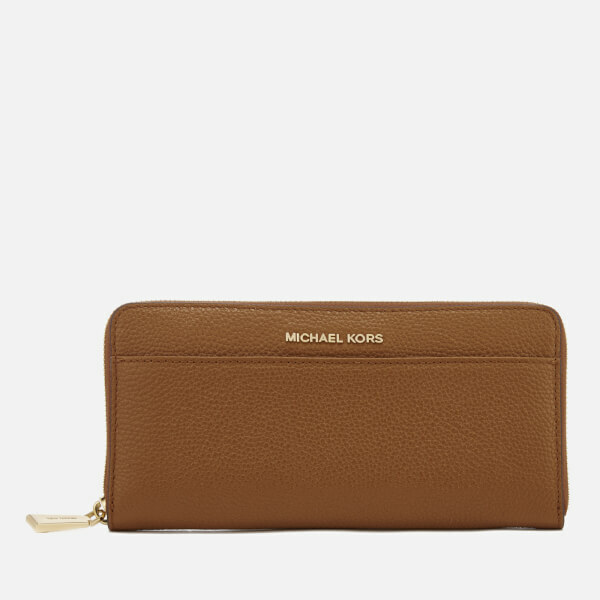 Women’s tan leather wallet from MICHAEL MICHAEL KORS. 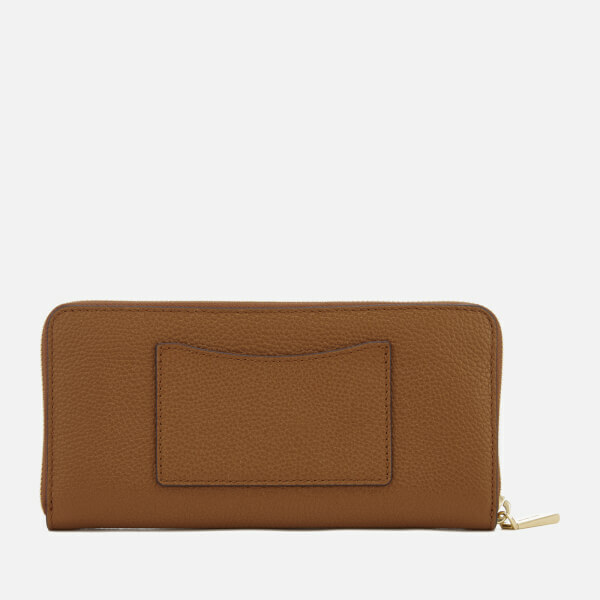 Crafted from grain textured leather, the ‘Money Pieces’ wallet features a slip pocket to the front and a card pocket to the reverse. 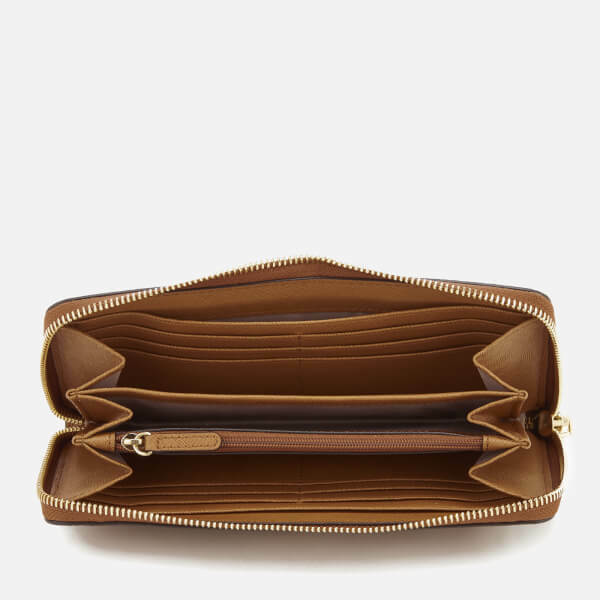 The inside of the wallet has an accordion design comprising twelve card slots, three note compartments and zipped coin pocket. 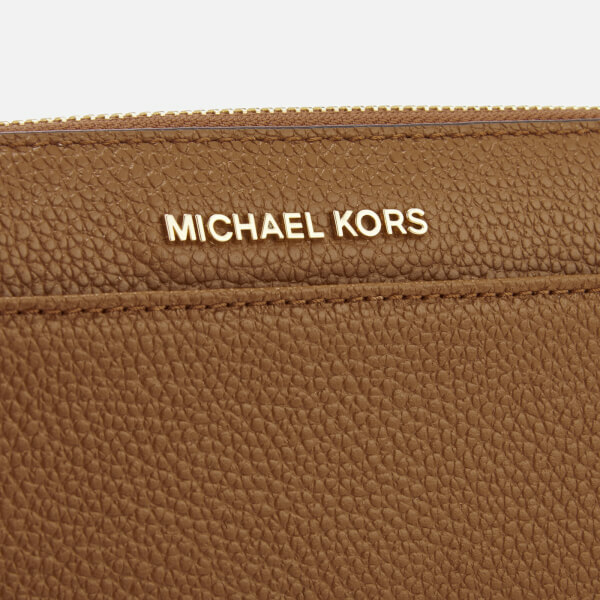 Complete with gold-tone hardware and signature metal branding to the front.